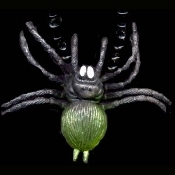 BROWN-Creepy Sneaky Snake Light-up Halloween party prop decoration. 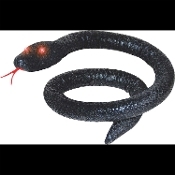 This scary snake will make a very cool prop for your haunted house or home haunt. 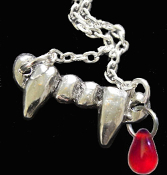 Spooky realistic color with eerie blood red lighted demon eyes making for a piercing effect. 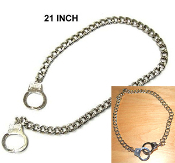 Approx 40-inch long. 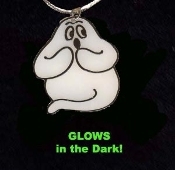 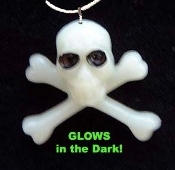 GHOST GLOW NECKLACE - Halloween Trick-Treat Charm Jewelry - GID Glow-in-the-Dark Plastic Charm, approx. 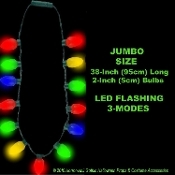 *Needs no batteries... Charges in Bright Light! 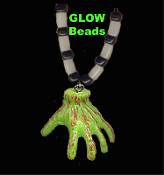 MONSTER HAND AMULET PENDANT NECKLACE - Halloween Frankenstein Goth Charm Jewelry - Choose your bead and cord color! 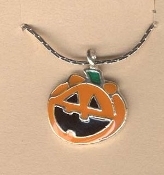 JACK-O-LANTERN NECKLACE-Enamel Halloween Pumpkin Jewelry-SCARY Orange Enameled Metal Charm-Dimensional, Detailed charm, approx. 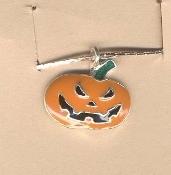 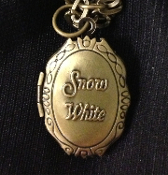 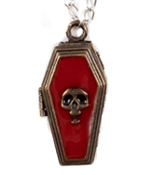 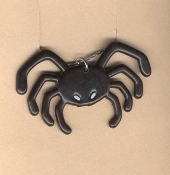 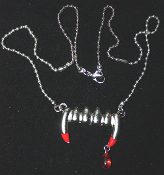 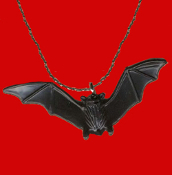 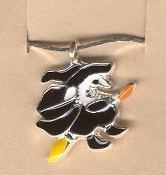 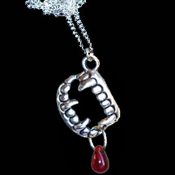 3/4-inch Tall, on 18-inch Silver-tone Neck Chain.